Conveniently located on Beloit Road in New Berlin, ATI Physical Therapy is the premier choice for personalized physical therapy in a friendly and encouraging environment. Known for exceptional results and an upbeat atmosphere, ATI Physical Therapy provides physical therapy and sports medicine. ATI Physical Therapy offers a number of specialized services to address your specific injury or needs. Specialty services are available at select ATI locations. Contact your local clinic to ask about specialty services. Please choose a service to learn more and contact your local clinic to inquire about availability. Pamela Lofgren, DPT/Clinic Director graduated with a Master’s Degree in Physical Therapy from UW-La Crosse and continued her education to obtain her Docturate in Physical Therapy from Massachussetts General Hospital in Boston. 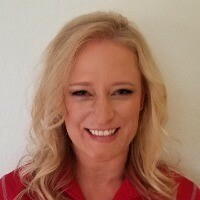 She has been an outpatient therapist for 17 years with specialties in Women’s Health from the Herman and Wallace Pelvic Rehabilitation Institute, spinal/pelvic rehab, Graston technique, dry needling, and aquatic therapy. Angela Bacci, PT attended Carroll University in Waukesha, Wisconsin, where she graduated with her Doctorate in Physical Therapy, as well as her Bachelor’s degree in Exercise Science. She has experience treating patients in an inpatient setting with complex medical conditions, and as well as patients in an outpatient setting with orthopedic conditions. Angela has interest in treating patients with sport-related injuries, along with an emphasis with working with the geriatric population. 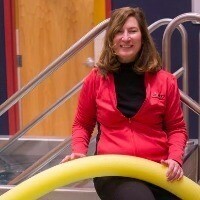 Jackie Badura, PTA is a licensed Physical Therapist Assistant with over 25 years of clinical experience. Her primary focus has been working with the non-surgical and post surgical orthopedic population. She is active in clinical instruction of students from several area technical colleges and has assisted in numerous continuing education courses in the physical therapy field as well as community events. Dusty Clark, PTA is a licensed Physical Therapist Assistant emphasizing in outpatient orthopedics. 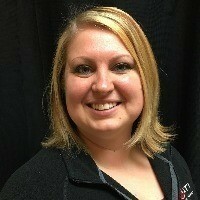 She graduated in 2012 from Gateway Technical College in Kenosha WI just before joining the ATI team. Her primary focus for patient care is to help each patient return to functional activity and beyond to allow active participation in every part of their lives. At your local New Berlin ATI, our goal is to help you feel better – quickly, easily and affordably. Our clinicians will develop a custom treatment plan that addresses pain, gets you moving and lowers the chance for future injuries. Plus, we’ll make it fun along the way. ATI accepts virtually all major insurance carriers and will verify insurance for you. To schedule your first appointment within 24-48 hours, or to request a complimentary screening, call (262) 641-5771. Achieving international recognition for its outcomes in workers’ compensation rehabilitation, ATI offers innovative solutions that deliver efficiencies and high levels of satisfaction. We have a simple referral process and performance-based methodology to help increase strength, endurance and cardiovascular function with the goal of returning you back to work. Call (262) 641-5771 to learn more. From injury education and prevention, to conditioning and rehabilitation, ATI provides on-site athletic training services to schools and clubs in New Berlin. We are experts in preventing, evaluating, treating and rehabilitating injuries, and will coordinate care with your physician, parents and school/club officials to get you back in the game. Call (262) 641-5771 to learn more.